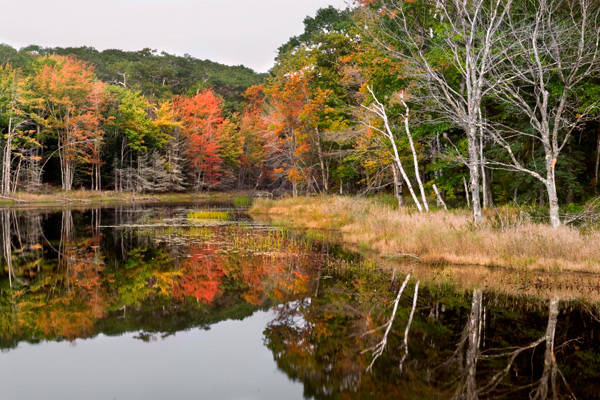 Maine has given me many great images and memories over the years and while this scene is no show stopper,it is one that I can look at and remember the weather that day and the crisp and quiet conditions that I shot this under many years ago. 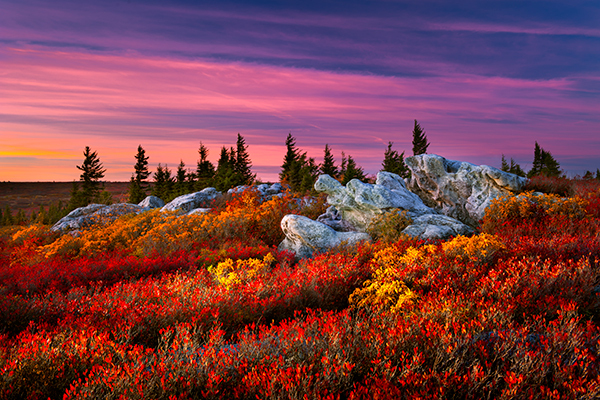 The last light of sunset skims across the landscape at Dolly Sods.As I was shooting this, two young idiots decided they wanted to climb up and sit on the rocks even though they knew I was shooting it. I realize it is open to explore but these nit wits just stood there for twenty minutes looking around,so thankfully I got that part of the frame captured before they ruined it. I light painted the vegetation in the foreground with my Nitecor flashlight and gave the pair on the rocks a few blasts for good measure. 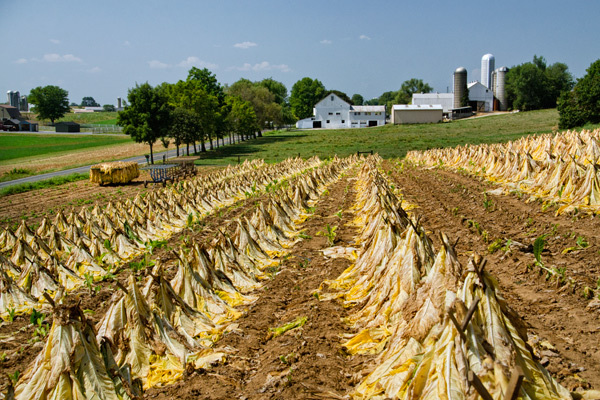 Freshly cut tobacco sits stacked to dry before it heads to the barn for complete drying. On the left is a cart already loaded and ready to head to the barn. 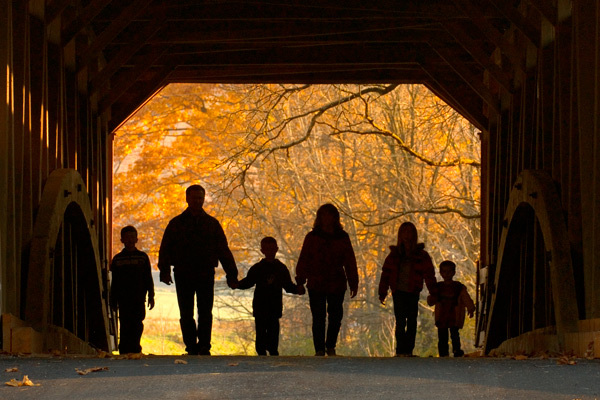 A family takes a walk through a covered bridge on their way to see colorful fall foliage. 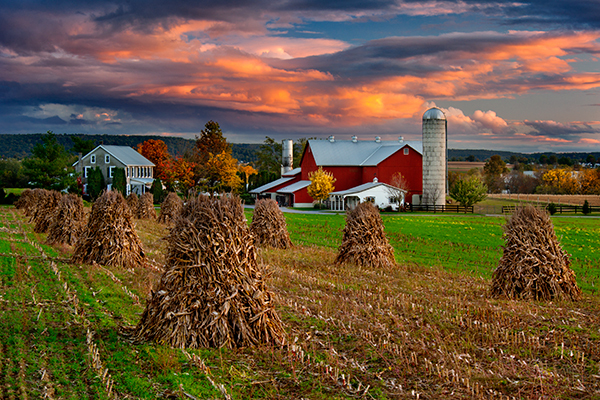 This field of corn shocks is something I see less and less of nowadays and maybe farming practices have changed or there is some other reason for the decline but this farm and field of corn shocks caught my eye and the sunset seemed to be building so I set up and waited for it all to come together. I set up on my truck roof and the 10 feet in elevation I gained allowed me to see over the stacks for a better view overall. 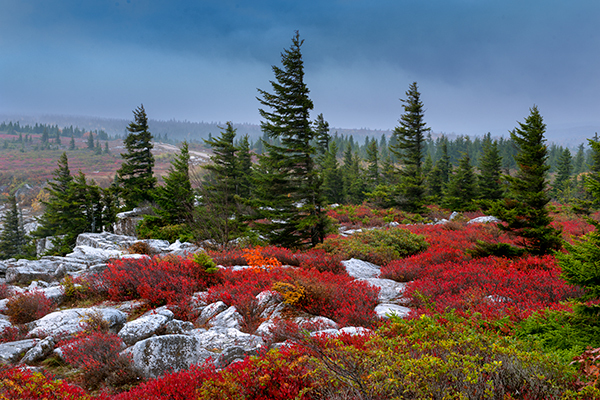 Pine trees show the effects of extreme wind atop Dolly Sods. 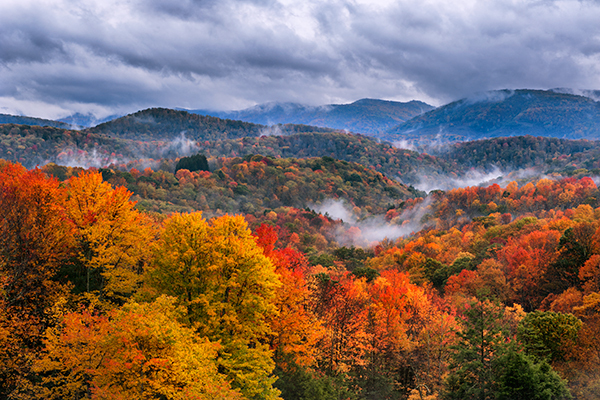 This image gives you a sense of how mountainous West Virginia is. This was taken late one evening after it had rained during the day and you could see various pockets of fog forming in the individual valleys.I can imagine winter would be a bit nerve wracking navigating the snow covered roads in these steep hills.